A good marketing strategy should be a “living and breathing” thing, a process that is adapted over time based on what works and what doesn’t. 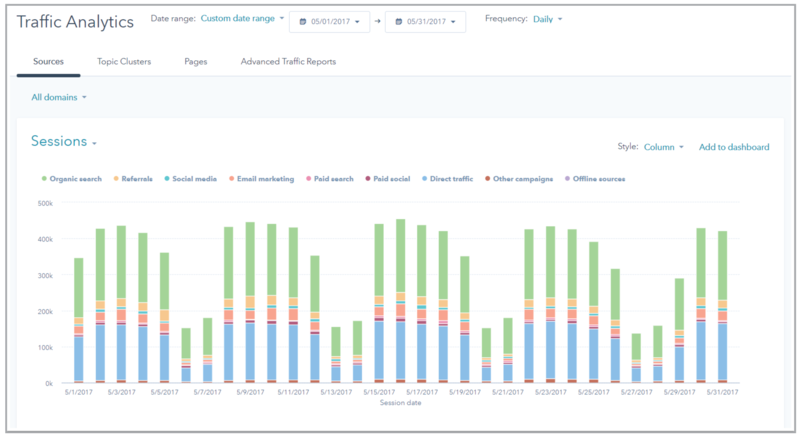 Gathering and analyzing relevant data as well as continually testing marketing assumptions form the backbone of intelligent inbound marketing. A dependable growth marketing agency will take this information and turn it into strategic recommendations for future campaigns. Once you have this compilation of data and analytics though, the harder part is to pair the information with a marketing strategist that understands your business. A great marketing strategist turns the data and analytics into strategic insights, actionable takeaways and next level campaigns. Our marketing strategists aim to set a path toward consistent improvement across your marketing efforts. Whether this translates into more website visitors, more website leads for your sales team, or something else, this strategic, ever-testing approach helps us keep your key marketing metrics on the right track. How does HubSpot help us measure that? HubSpot is an all-in-one marketing software that we use to execute marketing campaigns based on data. As a Silver Tier HubSpot certified partner agency, we also use HubSpot to generate advanced marketing, sales and ROI reports. These reports allow us to be transparent with our clients and adjust marketing campaigns based on data. Curious about transparent reporting for your business?